MidSeason Finale Time for Supernatural with The Spear! 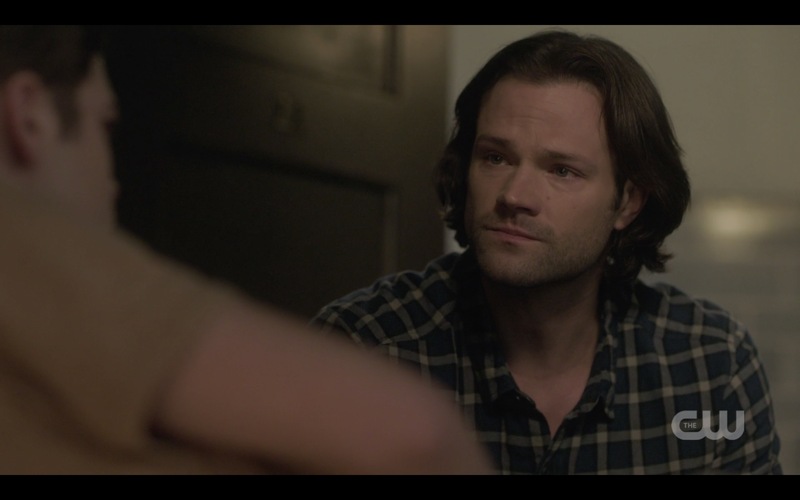 After watching the previous week’s Supernatural episode at a Supernatural convention with some fellow fangirls, I missed this week’s episode entirely due to family obligations and watched it on the CW app on my phone a few days later once everyone had gone to bed. A very different experience, to say the least! That also meant I was somewhat spoiled thanks to a few twitter forays in the interim, which always makes my viewing experience muted. It’s hard to say how much more I would have liked this episode if I was 100% unspoiled, but I don’t think it would have been night and day. The THEN segment was about ten minutes long, which usually means there’s going to be way too much going on in the upcoming episode. Uh oh. But then I hear Rockin’ Around the Christmas tree, one of my favorites, and there’s lots of pretty Christmas décor, so that’s nice….and then, in true Supernatural fashion, broken things and lots of blood and a hapless guy screaming “No please no!” One of the crazy-toothed werewolf guys (in a Santa hat) confronts him and grabs him by the throat. Cut to mistletoe above them, so werewolf guy leans in for a kiss – and snaps the guy’s neck. 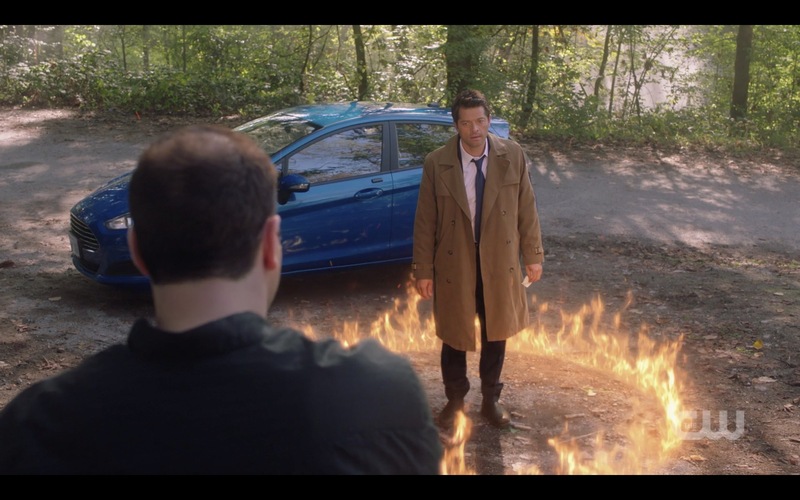 Ah, Supernatural. I enjoyed that irreverent beginning – nice touches by writer Robert Berens. Even if I hadn’t been spoiled, it wouldn’t have been a shock to see Michael in a new vessel in the next scene – this one a beautiful woman. Michael sure has good taste in vessels! I thought Felisha Terrell did a good job of channeling Michael’s low key but confident mannerisms. I was happy to see Melanie (Andrea Drepaul) return, and I was also spoiled for the return of D J Qualls as Garth, so no surprises yet for me. There are few things more satisfying than watching a new episode of your favorite show with a bunch of people who share your passion. I was in Minneapolis for a Supernatural convention last Thursday, so of course I was looking forward to watching the show with fellow fans. After a few minutes of panic upon finding out that my hotel didn’t even carry The CW, I took to twitter to see if anyone would take pity on me and invite me over to watch. In a city full of fans, that took about ten seconds, so when 7 pm rolled around I was happily curled up on the sofa in the honors floor suite of some friends’ hotel. We had crackers and cheese and wine and soda and the free buffet that nobody else was apparently interested in – and then the lovely man in charge of the suite kept making us sandwiches and bringing them in for us to try! Ever have those sort of moments when you’re sure that life is too good to be real? This was one of them. 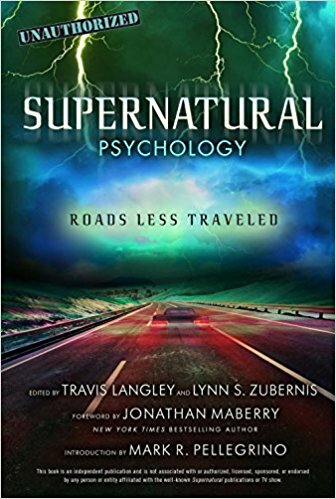 Davy Perez is one of my favorite Supernatural writers, and the previews for ‘Mint Condition’ suggested it would be a fun Halloween-horror-movie-themed episode, but you never know. It turns out, this episode was even more fun than I expected, and an especially good episode to watch with fellow fans. The episode also had some underlying messages that weren’t just there for the fun, which made it a multllayered and sometimes surprisingly meta episode as well. Perez knows his horror movie tropes, that’s for sure. The episode opens in a comic shop, jam packed full of superhero lunchboxes and action figures and posters, including one for “Hell Hazers”, the film being made in one of the show’s first meta episodes, Hollywood Babylon. 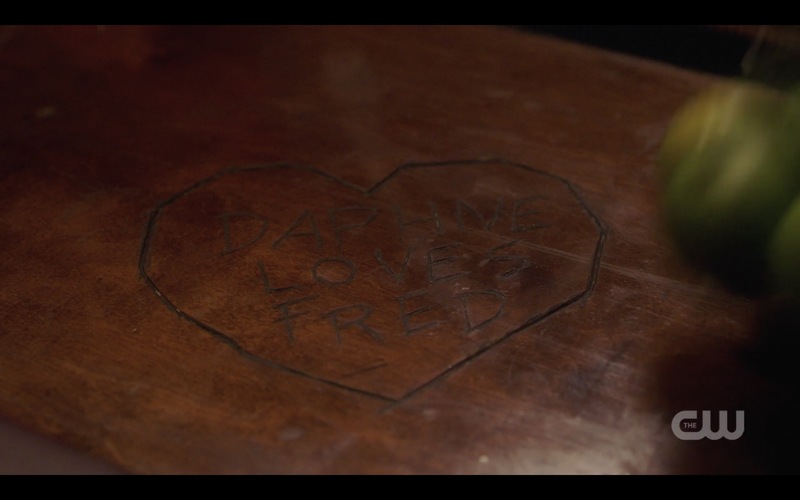 I adore when the show references its own history, so that made me squee out loud for the first time in this episode but definitely not the last. The television in the comic shop is tuned to Shocker TV. On screen, Hatchetman says his signature line “time to slice and dice” and then the young guy working at the shop turns it off – and proceeds to stuff a brand new Thundercats Panthro figure into his backpack. Everyone in the room: Uh oh. We quickly learn that Stuart isn’t exactly a model employee and in fact is given to angry outbursts and ugly and stigmatizing name-calling. Especially when someone accuses him of being weak, as in not being able to beat up Superman. When I watched this episode live, it was like being taken on a rollicking roller coaster ride along with my friends, and it was pure joy. On rewatch, the darker themes came through, including some commentary on troll-infested internet culture and the messages about masculinity that can end up being so toxic. Stuart’s barely contained rage when someone threatens his ideas about masculinity (ie, you should be strong enough to beat up Superman or you’ll be a virgin for your whole life) is scarier than most horror tropes in the midst of so much real life violence springing from similar fears and rage. It comes out in Stuart’s treatment of a customer, his outburst at a delayed pizza delivery, and even in his berating fellow players and storming off in the midst of a Fortnite game online. Stuart, for me, hit a little too close to reality for me to stomach him easily. Or feel much sympathy! But back to the show. Angry Stuart, kicked out by his roommate and back to living in his mother’s basement, regards his stolen Panthro figure. And then it TURNS ITS HEAD!!!! I legit screamed – look, I admit I have a bit of a thing about dolls and figures coming to life. Too many horror movies as a kid perhaps, but OMG there is nothing more horrifying than thinking that’s a possibility. Following the classic horror movie protocol, Stuart leans in close and ASKS the Panthro what it’s doing. Everyone in the room: NOOOOO! RUN AWAY!! Of course he doesn’t, and the fierce little (possessed) Panthro beats the crap out of him with its little nunchucks. SO creepy! 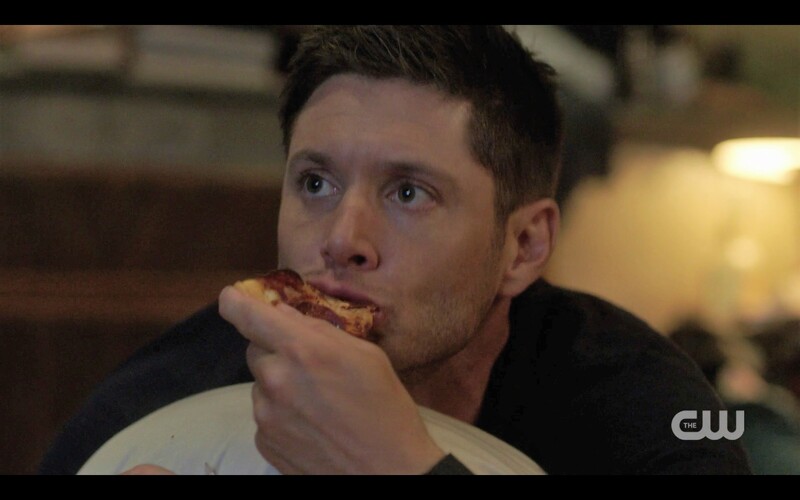 Back to the bunker, where Dean Winchester is sprawled out on his bed, socked feet up on the nightstand, head on a pillow watching television and eating pizza. Let me repeat. 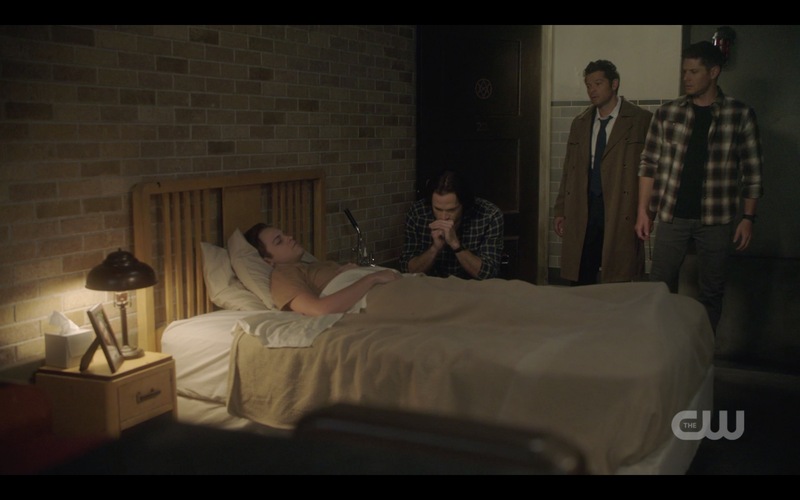 Dean Winchester is sprawled out on his bed. The camera doesn’t exactly do a slow pan as in that early seasons episode (you know the one, black boxers, tee shirt…) but it’s a nice visual, just saying. 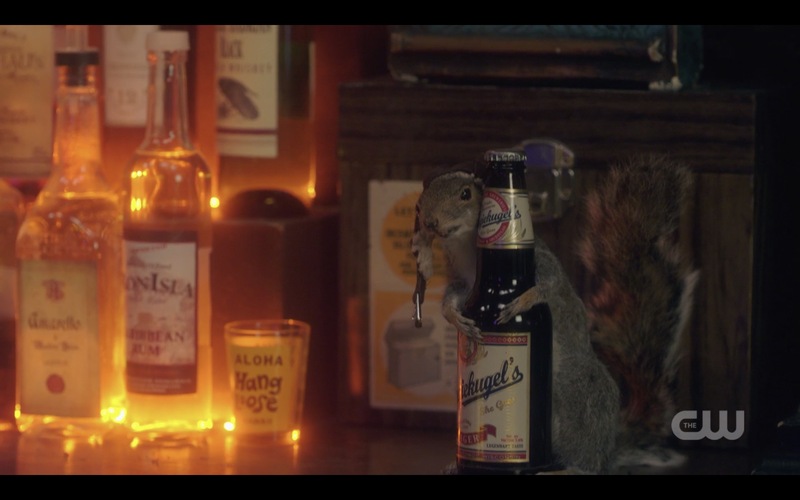 There’s a Hell Hazers III movie ad, which again makes me squee with continuity joy, and then Dean’s Hatchetman marathon continues. 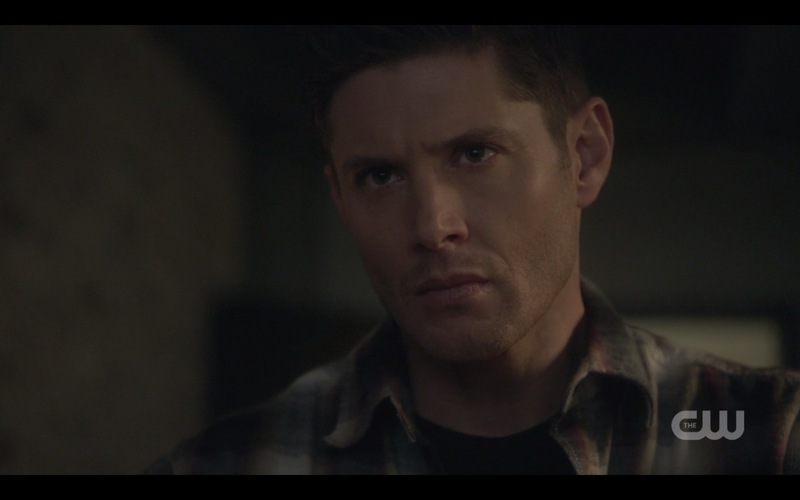 Dean repeats the tag line along with the film: “Time to slice and dice”. 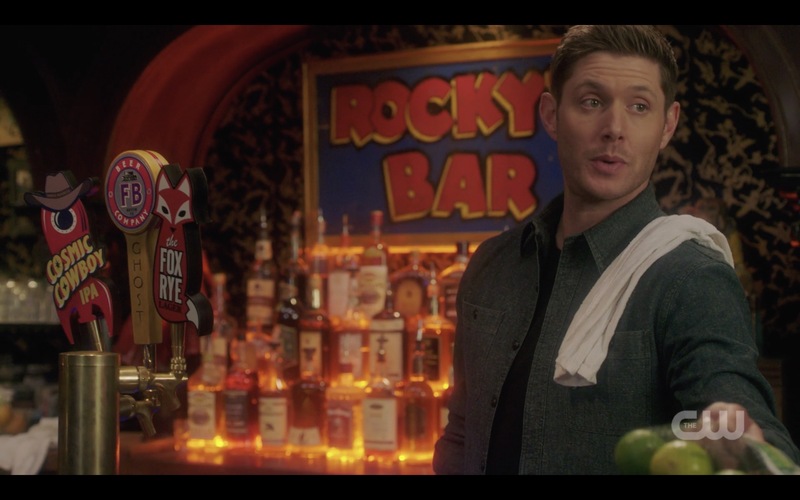 Everyone in the room: Fanboy Dean!! One of my favorite flavors.